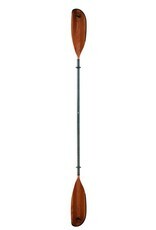 The Bending Branches Navigator wood kayak paddle dares to combine high-tech materials with the natural beauty of red alder and roasted basswood. 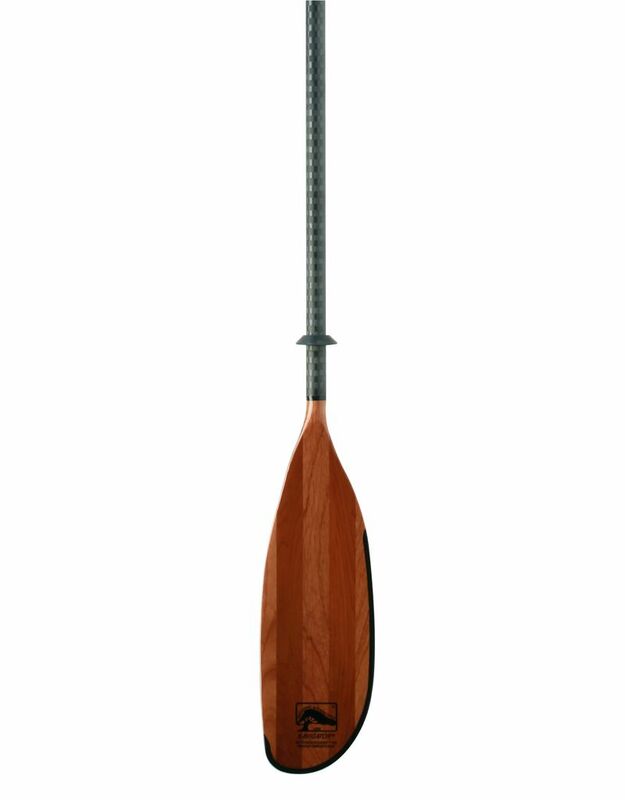 The Navigator’s shaft is made of aviation-grade T-700 carbon, and its blades are hand-crafted of beautiful hardwoods. For added durability, the blades are wrapped in fiberglass and protected with a Rockgard edge around the blade. The Navigator comes with either a snug-fitting traditional 3 hole snap-button ferrule (adjustable for feathering angles 0° and 60°, L or R) or a more versatile telescoping ferrule with infinite feathering angles. If you have multiple boats, the telescoping ferrule makes changing paddle length a breeze. The Navigator with a snap-button ferrule comes is lengths from 210cm to 240cm, in 10 cm increments. Blade Size:6.2 x 20 in.